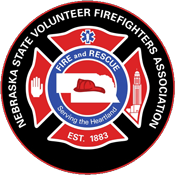 In 2016 the Nebraska Legislature passed LB 886 the Volunteer Emergency Responders Incentive Act providing the one of the best recruiting, retention and response tools volunteer firefighters have ever had. The tax credit is earned based on a points system that values the things that most firefighters are doing anyway; calls, drills, training, meetings and community involvement. Below are links to some of the resources that NSVFA offers to help firefighters, fire departments, cities and rural fire districts work through the details of LB 886 and this new tax credit. We encourage your department to participate and NSVFA stands ready to help in any way we can. If you would like an officer or area rep to attend your fire department or mutual aid meeting please let us know. If you have technical questions about tracking, qualifying or filing for the credit please e-mail or call the office. We’d like to hear how it’s going!